A new chapter in the history of lesbian, gay, bi, and trans people started Sunday when forty-nine people were murdered in a gay bar in Orlando (and at least 50 others were injured). With so many deaths by gunfire in a single incident, this is the worst modern mass civilian shooting in the history of the United States (but not worse than the mass killings of American Indians during the conquest of western lands). The victims in Sunday’s shooting were targeted by a killer who, according to his father, was recently upset at the sight of seeing two men kissing. Whatever the actual motives of the shooter were, the killing of so many LGBT (and straight) people in a gay bar is now a part of our history. We are painfully reminded of how all forms of marginalization and dehumanization are connected. Extremists with a shared disdain for LGBT people and our human rights pose a threat to all of us, everywhere. We are reminded once again of why silence equals death. We cannot be silent to the injustice of the margins, to dehumanization, and to the use of people for political sport. For LGBT people around the world, Sunday’s mass killing hurts us all. We are all saddened and we are enraged. Our thoughts go immediately to the victims of this hateful crime. But we also know that every one of us is a potential target of extreme fear and bigotry. And by every one of us, I don’t mean LGBT people alone. I mean everyone, all of us. We are all the targets of extremism — and that includes Muslims, too. Extremism is based on the idea that there is only one “right” way and that all other ways are to be eliminated or pushed aside. The LGBT community knows, from the painful lessons of our shared history, how wrong “oneness” can be. What makes us the same is our shared uniqueness. This is why our response to Sunday’s killing is solidarity for all who are marginalized, not just ourselves — but all others as well. Silence still equals death because we cannot be silent when politicians attack us — all of us — for our differences. We cannot be silent when politicians like Donald Trump will keep trying to pit Mexican immigrants, Muslims, women, undocumented workers, African Americans, the disabled, and all the other “others” against an imaginary us and an imaginary them. Diversity, decency, and human rights must be defended against bullying and marginalization. Sunday’s mass shooting is the worst LGBT mass killing since the Holocaust, when the Nazi regime arrested over 100,000 gay men and murdered as many as 6,000 of us in death camps. But even since then, the LGBT community has faced other mass tragedies. 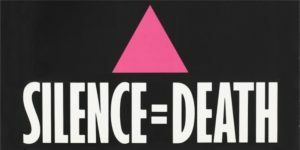 We will never forget how tens of thousands of gay men died from the shamefully willful neglect of the Reagan administration when faced with an emerging AIDS crisis. This threatened our very existence as a community, and transformed our culture forever. Even though we have faced even greater tragedies it cannot go unnoticed that Sunday’s mass killing happened in a place where we gather, sing, and dance together. Our modern civil rights movement started with a riot after a routine and violent police raid of the Stonewall Inn. Gay bars are more than places to dance and party, as they are also centres of culture and safe havens where we are free to be. We have a history of both marginalization and standing up to bullies and bigots. LGBT people rioted in the “White Night” riots following the murder of Harvey Milk — the first openly gay person elected to public office in the United States. We rioted after Stonewall. And now we will mourn together and stand with all who are cast aside by those who deny our shared humanity. At the centre of all our struggles has always been solidarity. Our response to Sunday’s tragic events calls once again for solidarity, especially with the Muslim people who will be targeted by association. We cannot allow a menacing narrative to overpower our own narrative. The LGBT movement stands for diversity, for human rights and for shared — universal — dignity. Being gay defines every part of my life, despite the fact that my sexuality is just one part of who I am. Coming out is personally empowering and is required for LGBT liberation, but it also comes at the cost of visible marginalization. This is true in all parts of the world, even where legal or cultural respect for LGBT equality prevails. One of the ways that being gay has defined me was how the process of coming out influenced my late teen and early twenties years. I came out in 1991, a few years before the AIDS crisis for American gay men entered a new phase. A lifeline would soon be extended for people with AIDS (who had access to new drug treatments), and the Reagan-Bush years of intentionally bigoted neglect would soon end with Bill Clinton’s promise of new urgency around the crisis. This was a turbulent time, between two eras of the LGBT rights movement. I was radicalized and deeply influenced by the more militant 1970s and ’80s, just as a new conservatism would enter centre stage of LGBT politics. Since coming out the world has changed. I moved to Canada and was able to legally marry my partner of 17 years. Now even the United States recognizes marriage equality. But even with change, I have been told to my face that I am a disgusting person, simply because I am married to the man who has been my partner for 17 years. Obviously, it hurts to be called disgusting. It hurts even more when I am hit in the stomach for no other reason than being in a gay neighbourhood. It also hurts to be called a “fag” and it hurts to wonder how many opportunities I’ve lost because of silent and invisible bigotry against people like me. It hurts even more to know that LGBT youth still attempt suicide at rates much higher than their straight and cisgender friends. Lone mass murderers will leave a mark on the rest of society because what they do is so deeply painful and troubling. But lone mass murderers do not have to define us at all. Nobody but the killer is ultimately responsible for pulling the trigger, and we should assign blame solely where it belongs. But how we collectively respond to a mass murder does define our whole society. Mass killings by white supremacists who target African American churchgoers and by misogynists who target women students are part of a larger system of oppression that everyone has a choice to either reject or allow. We also have a choice to either reject or allow the invisible abuses that take place in homes, in schools, on highways, and in prisons. I did not want to be marginalized for my sexual orientation, but I had no choice. I am grateful, though, for knowing what it feels like to be on this end of marginalization. Otherwise, I don’t think I could understand, to however a small extent that I can, how others who are marginalized must feel. I have never thought that my gayness gives me insight to what racism or sexism is like, but it does make me aware of what privilege is and of the importance of solidarity. Bigotry against me has taught me to stand with all others who are marginalized and to question my place in social systems that want reduce people and to pit us against each other. My hope is that we can stand together against the kind of bigotry and hate that was displayed this weekend, and stand together for all others who are marginalized and dehumanized.